Rachid Imam lives in Diamond Creek, where I used to live. We both raised our families there. In a country town of white faces there were a very few Maltese, the odd Italian and the Chinese wife of my medical partner. I was the Jew on the Main Road and Rachid was the Muslim on the hill. For many years we ran together. As we ran we’d speak of our families. Rachid told me he was the second of three brothers, the black sheep. He spoke tenderly of his Mum, born into a Christian family, who fell in love with Fehmi El Imam, formerly of Lebanon, since 1951 a resident of Melbourne. Some years before I met the Sheikh my elder daughter married. At her wedding I watched with delight the son of Australia’s Mufti dancing a hora with the President of the Zionist Federation of Australia. I knew Sheikh Fehmi’s health was failing. I’d heard of his stroke, I knew his wife had died years earlier. Today Rachid and his brothers and his sister will observe the rituals of burial and receive condolences from their thronging community, from high dignitaries to the Muslim in the street. All those familiar old rituals, all those echoes of the mourning I observed with my brothers and my sister after our father died. I agreed, Rachid agreed and Sheikh Fehmi agreed. Were we foolhardy? I imagine we all heard the same challenge, unspoken, inescapable: if not us, then who? On the appointed night Rachid met me on the footpath and introduced me to his father and to his brothers. The brothers stood either side of their father. It was clear they were there to support him – and if need be – to protect him. The Sheikh wore a traditional head covering. One son wore a kaftan. The clergy were to speak in the Social Hall. I offered to show the Sheikh the synagogue’s interior. He was interested. I found some light switches, we entered and I saw the place – a little emptier than usual – with new eyes. I took in its splendor and I sensed from the Sheikh’s reactions the Mosque in Preston was a more modest affair. We went upstairs. The clergy were introduced to each other and to the audience. The hall was full, people were standing in the aisles, the atmosphere was intense. I saw faces I knew, some of them of people I knew to be mistrustful of Muslims. I was to be the moderator. I welcomed the reverend gentlemen and I reminded all present that the Rabbi and the Sheikh were our guests and I would insist we conduct ourselves on our shared principles of Abrahamic hospitality. 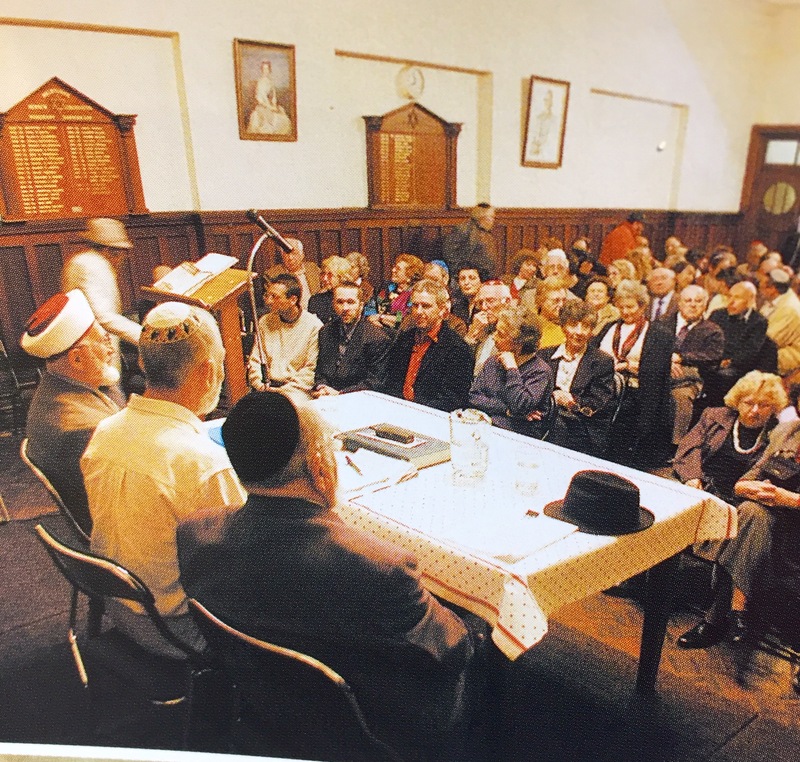 The rabbi spoke uncontroversially on the history of Jews and Muslims. The Sheikh spoke diplomatically on the principles of his faith. He explained the precept of Jihad: ‘Every Muslim must practise Jihad. Jihad, simply, is struggle. It is not warfare. It is, fundamentally, the struggle within to live a godly life.’ The voice that spoke these words was unemphatic, mild, genuine – a teacher’s voice rather than a preacher’s. Questions followed. Mistrust found its voice. Fehmi never raised his voice. He spoke with quiet dignity. Abraham took a bruising that night at the synagogue, but his hospitality was not broken. Sheikh Fehmi’s bodyguards did not need to rise to his defense. After our evening at the synagogue I never met Fehmi El Imam again. Later I askedWaleed Aly how the Sheikh was regarded in his community. 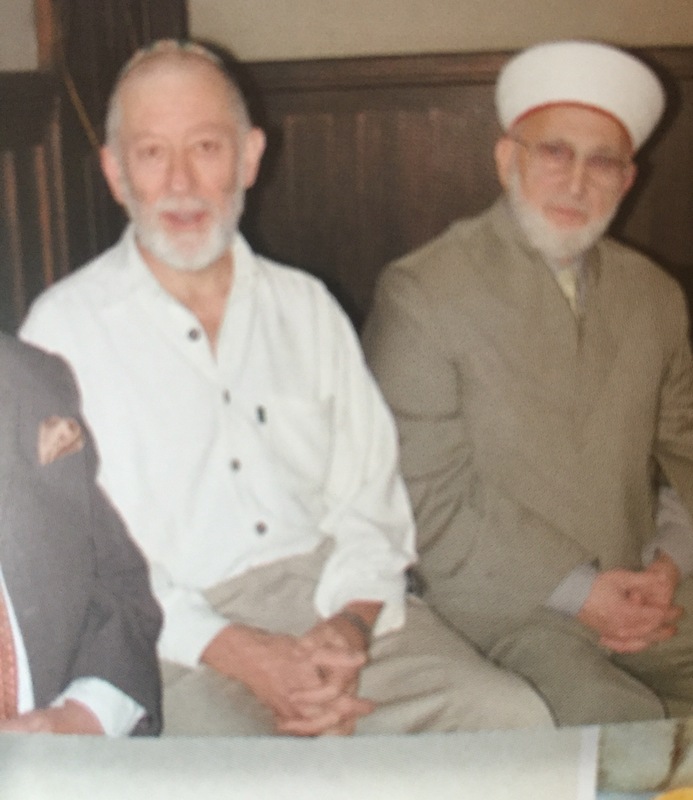 ‘He’s a very gentle soul, widely respected, he wants a convivial relationship between the faiths in this country.’ I wondered how the Mufti avoided the sectarian conflicts of his diverse community: ‘Fehmi has been around as an Imam for some fifty years, he has an Order of Australia, he is very widely respected and highly regarded. He’s untouchable,‘ said Waleed. By far the most elegant structure on Christmas Island is the mosque. I come across it while running, shortly before sunset on a Sunday afternoon. It is time for me to recite Mincha, the afternoon service. I descend to the shore and gaze out to sea. Empty for now of smugglers and pursuers, the sea is a wide place of peace. While reciting the silent devotion I can hear the unmistakeable sung sound of the call to prayer. There in front of me is the sapphire sea; behind me the towering slope; and in my ears the voice of the muezzin: I might be in Haifa. I find myself musing on that word, muezzin. How homophonous with the Hebrew ma’azin, ‘to make hear’, to announce. I complete my prayer. It shall be on that day, that the Lord shall be one, and His name one. I jog over to the mosque. Its gold minaret rises from creamy walls to catch the setting sun. The green slope beyond darkens toward blackness. A great quiet falls upon the world. I walk towards the mosque’s open door and count shoes at the threshold: there are ten. How many is a quorum, I wonder? Outside, on the grass, a plaque of stainless steel bearing the Australian coat of arms announces the assistance of the Federal Government of Australia in the construction of the mosque. I read the date: fifty years ago. The plaque is fixed to a mount by iron bolts that have rusted. The emu and the kangaroo gaze at each other across a widening stain of brown that flows down across the plaque. My imagination begins to work. I’ve seen no-one on the island wearing Islamic dress. I have seen the slender, sinuous forms of young Malay women jogging in skimpy western tops. How many Muslims live on the island? How many of them live their faith? How does a remnant faith survive here, cut off from the root in Malaysia and Singapore? Over the following week, some answers filter to me. It turns out that this coming Wednesday the community will mark the mosque’s fiftieth birthday. The federal Department of Immigration and Citizenship is paying for the airfares of a couple of clerics from the Islamic community in Perth. All citizens of Malay descent are invited, numerous non-Malay dignitaries are invited. Hundreds will attend this by-invitation only event. Remarkably enough, Doctor Howard Goldenberg has not been invited. The Islamic community marks its milestone without the presence of the stickybeak from Health. I wonder whether I might have inflated the importance of Islam in the lives of the islanders. Within the men’s compound there is a second mosque, little patronized by the detained persons. Grotesquely, the chaplain for all these Muslims is a Greek Orthodox priest.